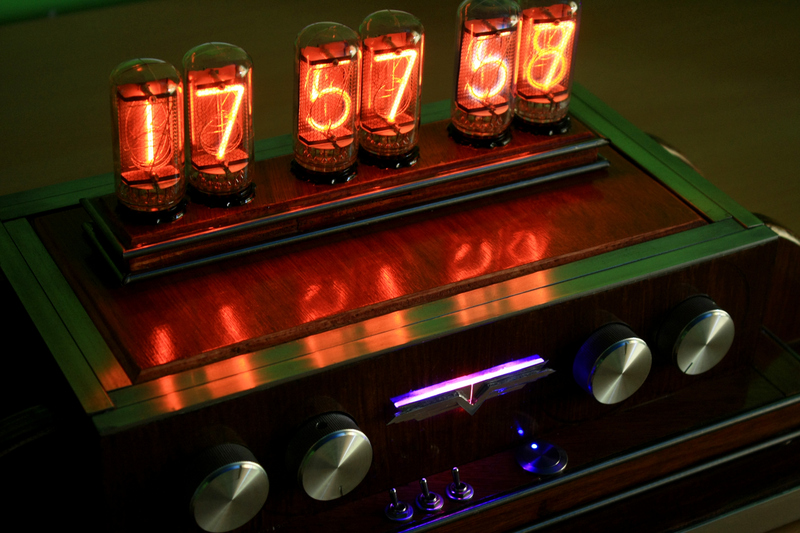 This clock uses six of the stylish ZM1042 nixie tubes for display. It is larger and more "advanced" in its functioning than my previous IN-18 and RLB clocks. 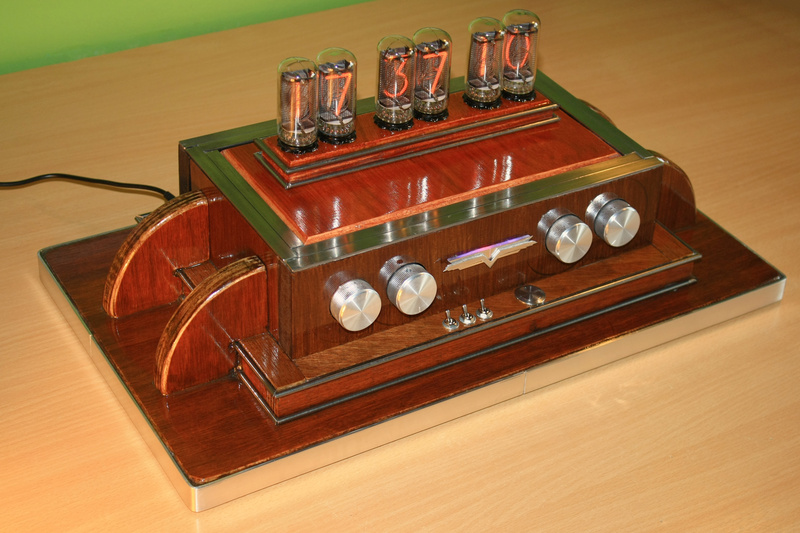 It uses an Arduino Mega as microcontroller and a DS3132 real-time clock for precise timekeeping. It displays hour, date and has a SD card-based alarm. 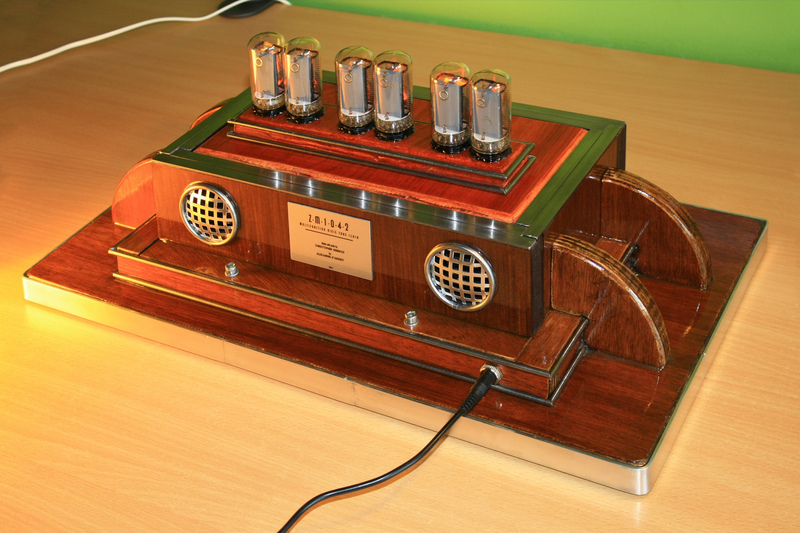 The audio file is read with Adafruit's Wave shield. Among the amelioration on the IN-18 clock model are : the use of a purpose-built DC high-voltage supply for the tubes and the utilisation of better and more intuitive inputs. 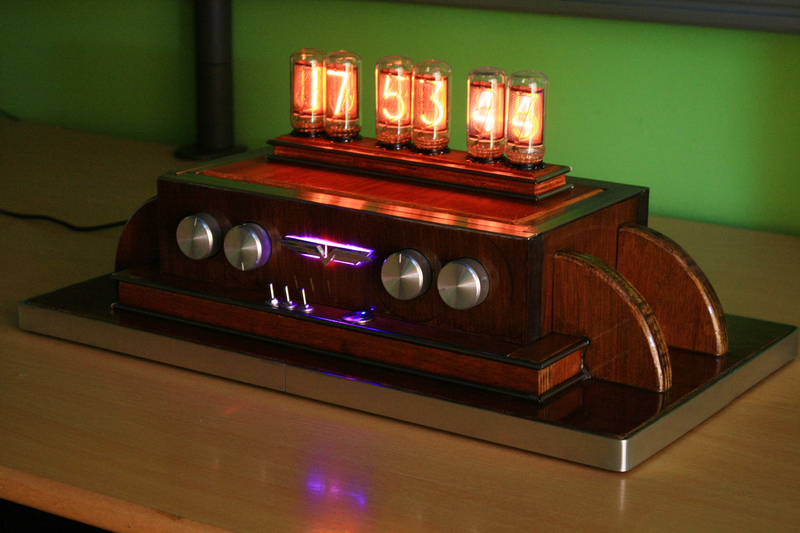 I built this clock for a close friend (my high school mathematics teacher). These webpages will not contain as thorough explanations as in the IN-18 clock or RLB clock ones, but given the similarities between the models, the reader is invited to have a look at them if necessary. Pictures can be found on this photo album.